I have a bunch of cartoons and film shorts on my hard drive. 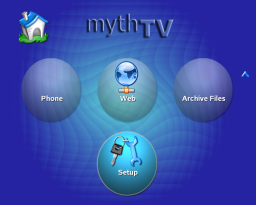 Now that I’ve installed Suse, I have video/audio output to my TV/Stereo, and I’ve set up Myth, I wanted to figure out how to play a series of videos from a playlists (.pls) file. Here’s how I did it. As a bonus, I also set up Myth with an option to randomize a playlist as well. 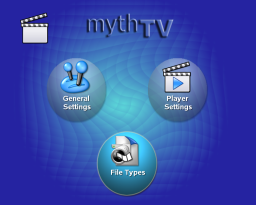 MythVideo uses MPlayer to play its videos. 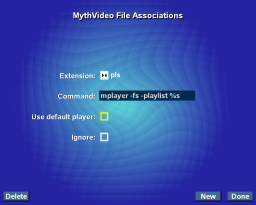 The command-line option for MPlayer to play a M3U playlist is -playlist <file.pls>. 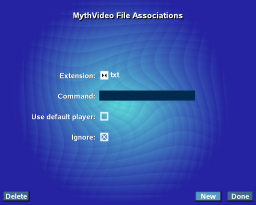 The trick here is to convince MythVideo to invoke MPlayer with this option when referencing a playlist file. Now escape back to the Myth home menu and go to “Videos”, select “Video List” and find a playlist file (this is a plain text file that has one video listed per line and ends in .pls). Once it’s selected, your playlist should start playing in order. Now I wanted to take this a step further and actually randomize the playlist every time it plays. Save the above file as /usr/bin/shuffle and ensure it has executable permissions (“chmod +x shuffle”). You’ll need to be root for that. 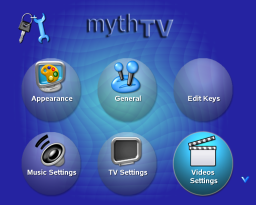 Rename your playlists to have the .spl extension and MythVideo should randomize them every time they are played. WARNING: Backup your playlist files and use a copy if you decide to do this, since the shuffled playlist overwrites itself with every play there’s some minimal risk that a burp in the system could cause you to lose your playlist. On the next page, for the curious, I’ll describe how the above works in more detail (for those interested in learning about the power of Unix). This is sweet. I have a bunch of short clips that I can do this with! Thanks. As each frontend is on a different system, and has it’s own /tmp filesystem no chance of them overwriting each other. Instead of shuffling by the script, You can also use “-shuffle” as an MPlayer option!